Technically, as of a few hours ago, I am on holiday for 12 days (to bonnie Ireland). However, before I disappeared from the working world, I felt it appropriate to complete the circle of licensing discussion and tie up the few loose ends which have been brought forward over the past few weeks. Based on feedback through various streams, we have made some changes to the pricing models and brought out something new to meet an identified gap. Effective on a final release of 8.6, CLDs will not be restricted to a single installation of OS for their 3 instances. These instances will be available for installation on any supported OS, together or separate, anywhere where they might chose to install them. The original rationale on this was that CLDs would use individual licenses for development, however it is very clear from feedback that CLDs in fact use various machines for development. Consequently, this license allows for the maximum maneuverability of the CLDs as they press forward with their work. There are two positive side effects to the technical mechanism which has changed for monitoring and managing CLD licensing. CLDs may now get additional instances (over and above the initial 3 which come with the membership) for $25/month each. Consequently, after the first 3 licenses, their license can effectively increment accordingly. The same mechanism for tracking is now used for CLDs as for with Hosting Partners, only with the different pricing strata - so a CLD may now take advantage of merely "up-ticking" their instances as they are needed without purchasing a new license. Note that any CLD with more than 10 instances would be wise to look at a hosting model, or a mixture of CLD and other models (e.g. Cloud or Master models, see below). If you are running more than 10 instances, you are certainly likely to be using the license for more than personal use. Note also that CLDs are not restricted to using their licenses for their own organization, however, it is a strong recommendation that they do so for future protection of themselves and their client (in case they and their client become "separated"). 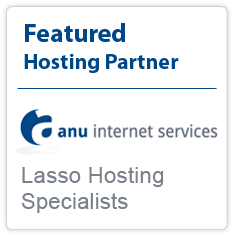 We will be introducing a new licensing model for individuals who would run a small number of licenses such as for high availability on individual servers on Lasso 9. This will be our most buzz-word compliant license to date, and will start with a minimum of 2 instances at $25/month (i.e. minimum $50/month) - each of which can be installed on it's own OS or server. This minimum of 2 instances can be added to when required, and total instances will be periodically reported to the provisioning server and billed at $25 per month. This allows a single organization to more efficiently take advantage of Cloud services or HA (High Availability) technologies by splitting a single website (or websites) across multiple machines (especially in a Virtual Machine environment). These licenses are, however, restricted for use by a single organization for websites or web systems which are explicitly owned, operated and connected to that organization. In other words, any instances from a given Cloud license may only be used for one organization, and cannot be used to host the websites of other organizations (which would make them a hosting provider). The rationale is that if you are hosting more than the websites of your own organization, you are (or are competing with) a hosting company (whether intentional or not). Yes, your mother's website should be hosted on your CLD membership or better yet - with a proper hosting company (See our Hosting Partner listing!). Cloud licenses must have access to the provisioning server, just like CLD or Hosting Provider licenses. Failing to connect simply results in restricted admin access until the new license key is updated, the same as for Master and Hosting. Cloud licenses report instances in use, and this determines the invoiced amount for the next month. Note the obvious difference between this license and a CLD license: there are no "additional" benefits to the Cloud licensing and they must be used within a single organization. Master licenses will still be a cheaper option for companies only needing instances on a single os/machine combination. 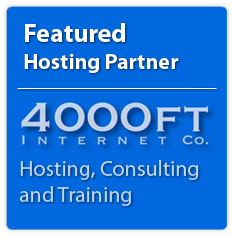 Also, any organization needing more than 10 instances may be more suited to the Level 1 Hosting option. btw - we will get this new option update on our license-levels checklist for easier comparison in the next few days. Our team have been working one-on-one with people who are looking to find their best license fit. If you are not sure what works best for you, ask them via sales@lassosoft.com and they'll work to understand your needs and then supply some options. Our team has been working furiously and we are on the cusp of a full release of a final 8.6. I'm sorry it has taken so long (sorrier than anyone, I practically guarantee), however, we are on the edge of greatness. It has been like fixing something small in an old house - you pick at one small crack and it turns into a full renovation. I hope that everyone remembers that it is still an old house - we didn't built it, we just moved in and are fighting the raccoons on behalf of the tenants. We are also getting very close to a final release of Lasso 9.0.1. The single largest change for 9.0.1 is not internal (although many internal changes exist), but obviously in the provisioning of instances and the new licensing system. Our latest effort is the building of an installer/manager for instances of 9 on a server. This has meant quite a bit of effort, which will have additional positive implications down the line which may not be immediately obvious. Hopefully, you will be impressed with our efforts. I will also note that in the last two weeks since website launch we have seen more revenue generated through the Lasso product line than in the previous four months since the birth of LassoSoft Inc.
- and more revenue on trailing average than the Lasso language has seen since 2008 (which is what we needed to see!). We are steadily building toward a more solid position that ensures that Lasso has ongoing and permanent support behind it. I can't tell you how exhilarating this knowledge is for me. Whaddyah know. It's working - and it's thanks to not just our team, but to all those developers and partners who have already joined us.